Decide how much you would like to take the garment up and pin it, then put it onto the ironing board and take the pins out. 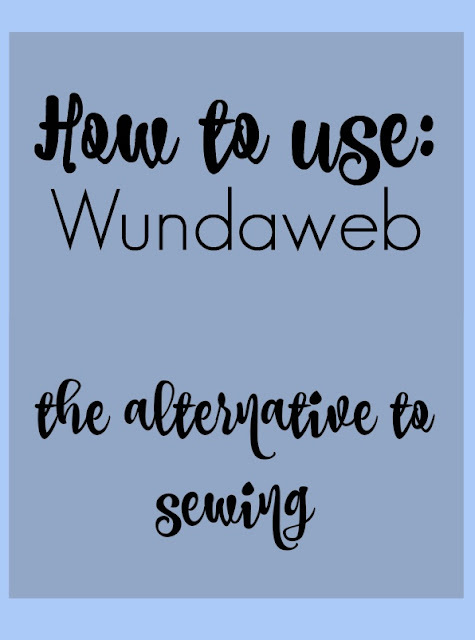 Cover the Wundaweb with the hem and place the damp cloth/towel over it and press the iron on it for around 5-10 seconds. DO NOT use an ironing motion, you just need to press, do this until you have covered the area with the Wundaweb in. I used 2 pieces of WW for each leg because they were very wide palazzo trousers and it made it very difficult to use one solid piece, I actually found it easier doing this, you just need to watch for the corners; make sure they don't come undone or flop back down. disclaimer: I will not be held responsible if you damage your clothes using Wundaweb, I've never damaged mine but no method is fool proof. This stuff is amazing! My mum always uses in on everything! Jade Wimsey 2012. Powered by Blogger. © Girl Up North. All rights reserved.